Redeem your energy with Comvita Royal Jelly. Known for its highly concentrated nutritionist properties designed to boost natural energy for our body. 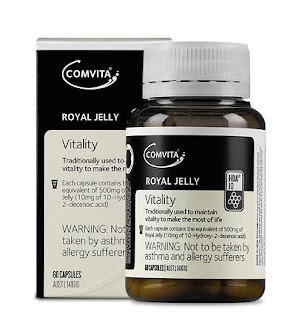 Get 20% OFF COMVITA ROYAL JELLY today to keep you well and active. Don't let the festive season activities drain you from the fun of 2012. Enjoy 2012 with Comvita Royal Jelly at 20% OFF.